Omni-MX a cost effective alternative to Maximuscle Cyclone ? It's here, It's new it's what we've been waiting for... Omni-MX from Sci-Mx - A real and significant cost-effective supplement that will surely become a firm favourite with the Rugby lads who like the convenience of an all-in-one protein supplement drink that also provides key and proven ingredients to enhance strength, explosive power and assist muscle repair & development. Ever since we (GymRatZ) started trading in 1999 One product has remained as a dominant product in the "all-in-one" supplement market, that being Maximuscle Cyclone. Often copied through products such as Reflex One-Stop and others, but nothing has ever hit the mark on a content and price comparison until now that is! 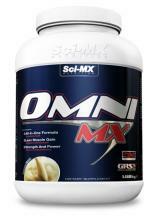 Omni-MX from Sci-Mx is in our mind going to give Maximuscle Cyclone a _real_ run for the money. If Sci-Mx plough as much into advertising this brilliant product as Maximuscle have done for Cyclone I can see a very real and significant sway in the sales. Obviously brand loyalty is quite a barrier Sci-Mx will have to stand up to against Maximuscle, but if the product stacks up well, mixes and tastes great (which we still have to try) then pennies in the pocket and value for money will always provide the ultimate leverage from brand to brand. Come 12 months time we'll see if I have to eat my words when I will update this page to reflect popularity or not of this product. Please put your reviews of Omni-MX on the review section for this new product which will be available on our new and improved site coming very soon!! � All-in-one convenient shake - no more confusion! Mix 2 level scoops (70 grams) with 300 ml of water in a hand held shaker or mix in a large glass with a fork and drink within 5 minutes of mixing. An electric blender may be used but is not necessary. Take 2 servings per day, every day of the week. Training days: If you train early in the morning, have one serving after training and one serving mid afternoon between meals. If you train in the evening, take one serving mid afternoon between meals and one serving after training. Rest days: On rest days take one serving mid morning between meals, and one mid afternoon between meals. 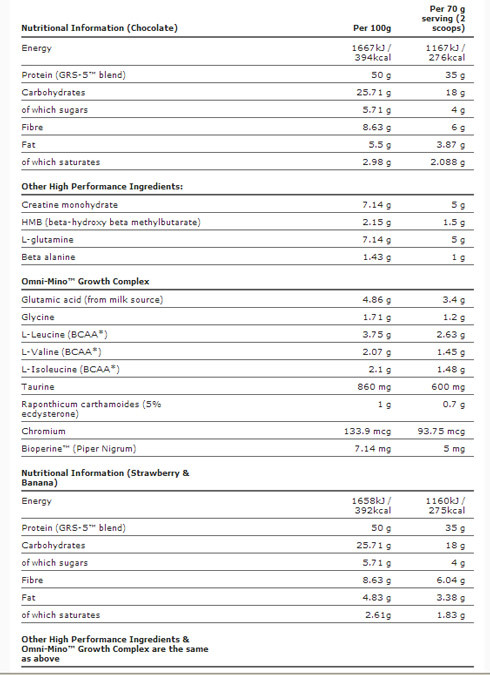 Omni-MX� is a complex blend of various potent ingredients and you may experience a slight nutrient aftertaste. This is normal. to provide a sustained energy supply whilst maximizing creatine uptake. essential muscle building amino acids. See nutritional information for details. All-in-one convenient shake - no more confusion! 1.68 Kg tub giving 24 whopping servings!